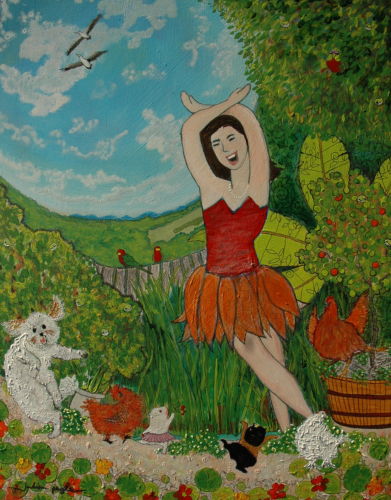 This is my painting of my wife in the garden with all the critters that I did for her birthday. The guinea pigs and the chooks and the scenery and the birds in the trees. Oh, and my brothers dog who sometimes visits. And the pelicans that soar over each day to and from their fishing grounds in the harbour. It’s not the clearest of images but you get the idea.